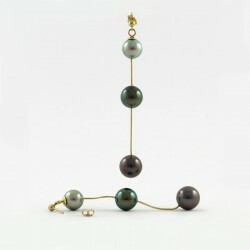 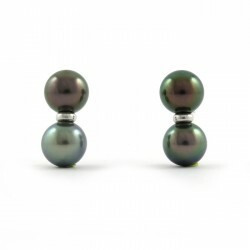 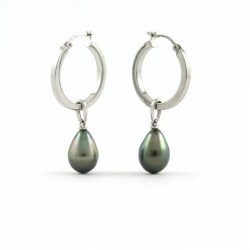 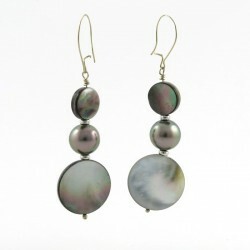 The pearls of Tahiti, are assembled here in earrings. 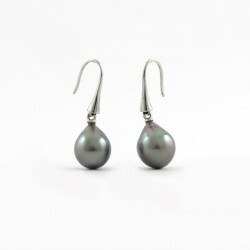 The most traditional are the earring stems in white gold or yellow gold 18 carats, but we also introduce many models with hanging pearls or on dormeuse or Creoles as well as less traditional associations with keshis, mother-of-pearl or other materials. 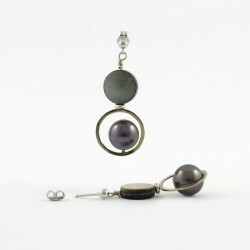 Take your time to visit and do not hesitate to click on the photographs and the titles for more information or to ask us.